Today felt very slow, I’ve been feeling ill all day. 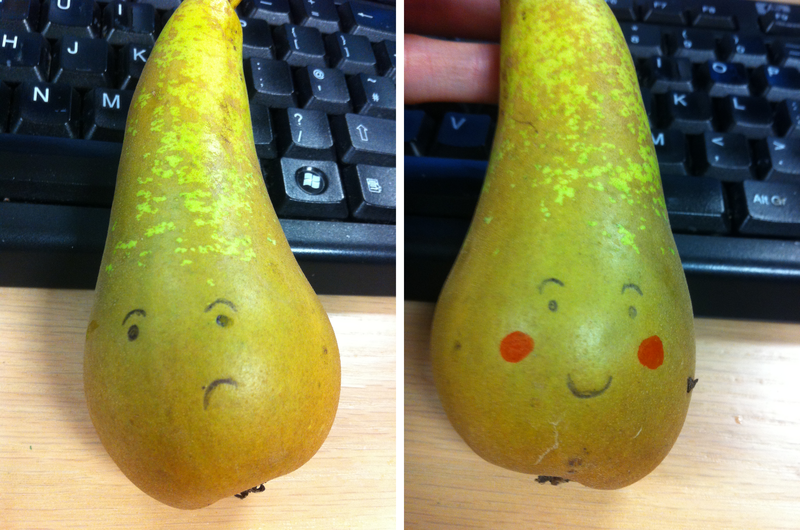 As shown by my sad pear photo that I took to send to my sister and mum to make them laugh, they did, so I followed up with a happier pear. I’m now on week 9 of couch to 5k! The end is in sight, only 2 more runs to go!